After several years servicing clients in the Portland area, Ideas Collide officially set up offices in the Pearl District near the downtown area. The office is proudly led by Account Director Elisha Lutz. Elisha took time out of her busy schedule (of running multiple accounts, setting up a new office, building a new team, etc.) to answer a few questions about herself and the new direction Ideas Collide is taking in Portland. What brought you to Ideas Collide? I’m originally from Los Angeles and moved to North Idaho has a child, where I spent a decade growing up. I loved my time in the northwest, but eventually moved to San Diego, California for college. I stayed longer than anticipated (who could blame me? ), though the northwest was always in the back of my mind. I was on the lookout for a reason to return. At my previous agency, I worked with Rebecca Clyde on a common client and got to know her and her team pretty well. When I learned about the expansion into Portland, I jumped at the chance. 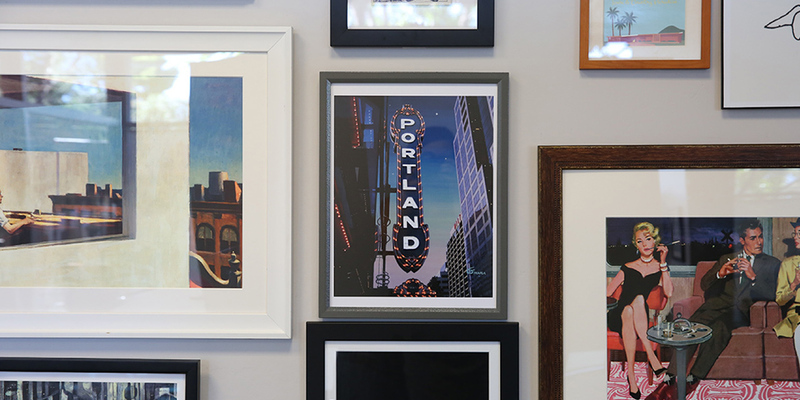 For one, Portland is an amazingly creative and entrepreneurial city. It strikes an interesting balance. There are a lot of large, well-known brands based in Portland that people don’t often expect, including Nike, Intel and Under Armour. On top of this, Portland houses tech and creative communities that are vibrant and growing. If there is a city that embodies the creative and business intelligence of Ideas Collide, Portland is it. What are the next steps for the office? Right now, our focus is serving our existing clients in the Portland area. Having a permanent office here allows for more one-on-one attention and face-time. We’re also working to integrate ourselves into the digital marketing community in Portland, including Design Week Portland (which just wrapped up), Web Vision in May and Digital Summit in July. Tell us about the office. Our office is an amazing space found in the Pearl District. The Pearl is known for its awesome food, art galleries and local businesses, not to mention it is centrally located, making it easy to travel anywhere in the city. There’s so much to see and do, and on my daily commute, I encounter just the right amount of weird that makes Portland so wonderful.